Behold this incredible home!! Traditional meets sophisticated elegance in this 4 bedroom updated home in popular Hidden Cove Estates. Architecturally interesting and beautifully appointed, with American cherry hardwood floors, large porches, beams and beautiful millwork & moldings. Recently updated with new carpet, stunning new modern light fixtures & 3 brand new bathrooms with exquisite tile work and interior designer touches. Master bedroom on the main floor with en-suite bath and walk-in closet. Large loft/office/flex space! Look at the entrance to this remarkable home just beckoning you to enter through the grand, inviting staircase with wrap around porches and crisp white trim, this home was freshly painted in June 2017. 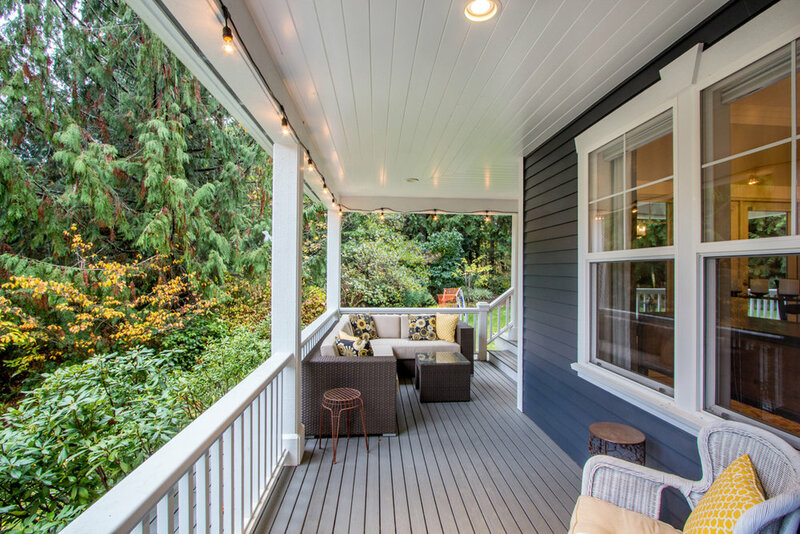 This is the north side of the home showcasing the oversized back yard and long, wide porches. 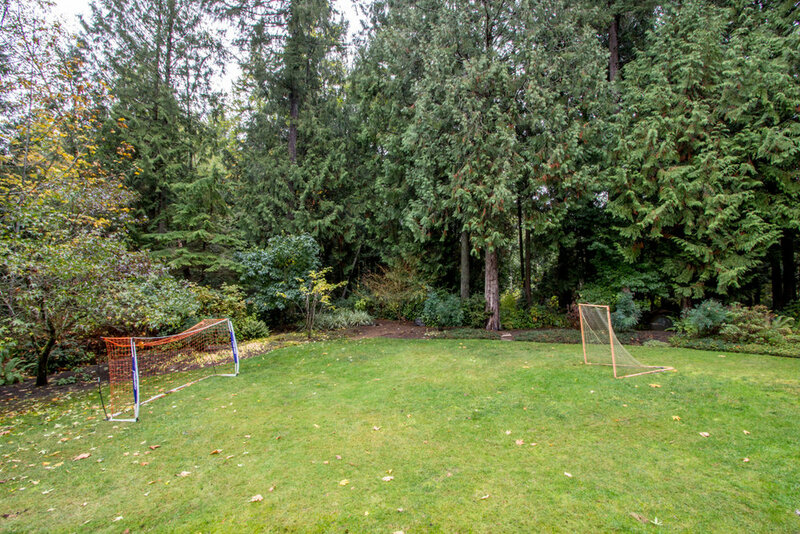 There's room for volleyball, soccer, frisbee....you name it! 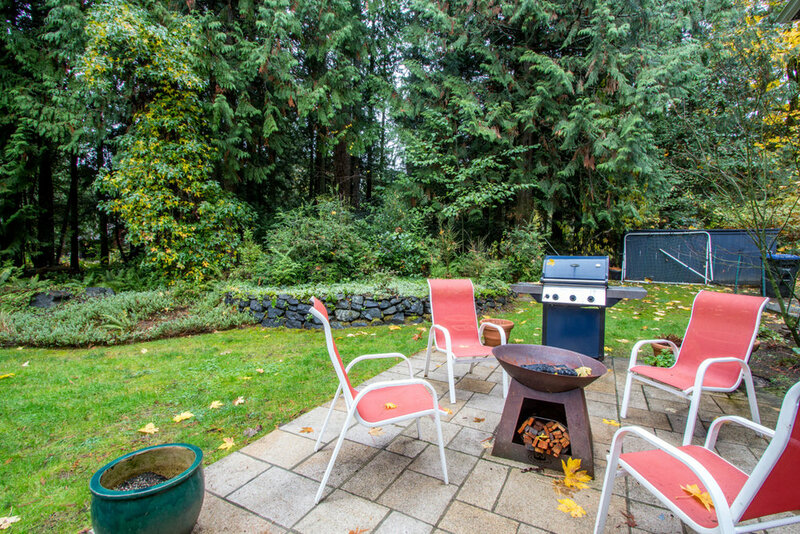 Host the 4th of July this year with all of this space. There's even a firepit!! A glass front door with transom windows surrounding brings natural light to the entrance. Either side of the front door has a coat closet and flanking the steps up to the interior are solid, bold columns adding to the grand entrance. Welcome home! Opulent yet warm. This is my favorite room in the entire house with the 2-story ceiling, gas start wood fireplace, ceiling speakers and abundant windows. This is the dining room. This is so much more than a dining room! I'll give you a moment to take in that lighting fixture. With a built-in hutch to store all of your china and extra dinnerware, glass french doors leading to the oversized deck plus steps right up to the kitchen....this room is without question the space you will enjoy family meals, work crossword puzzles, do homework, create science projects or just chat with a cup of tea. American cherry hardwood floors complete the look. This kitchen, steps up from the dining room, is just gorgeous. American cherry flooring, cherry cabinetry, granite countertops and loads of natural light - the cook in you will come alive! Right off the kitchen is the oversized family room with a gas stove, 2-story vaulted ceilings, ceiling speakers and wide french doors leading to the deck. Informal and inviting, this area is the hub. The master, right off the family room, also has ceiling speakers, extra large windows and a walk-in closet with built in shelving. An organized closet is a happy closet. Can we talk about this master en-suite bathroom? This bathroom is BRAND NEW. The tile work, the incredible lighting fixtures, the granite counter, separate toilet area.... it all speaks for itself, does it not? Upstairs is the bonus room overlooking the living room below. 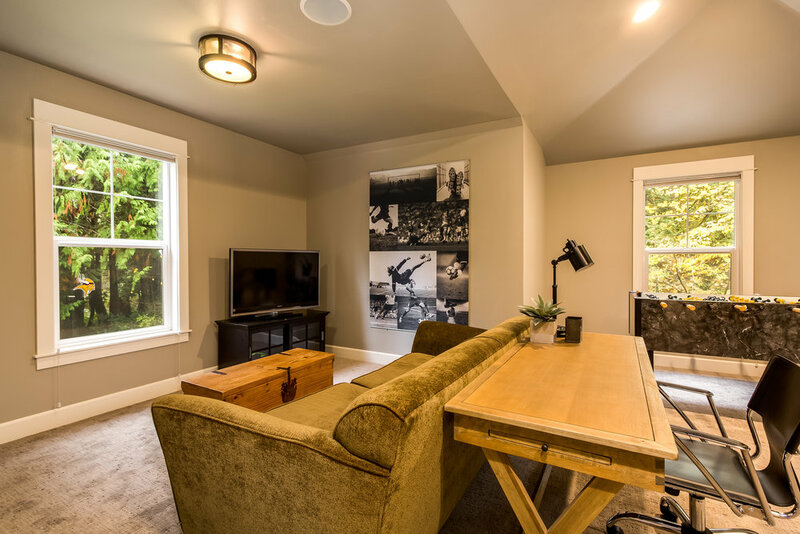 Outfitted with a ceiling fan, skylights, vaulted ceilings and ceiling speakers, this room has a million uses. This bedroom upstairs is quaint and warm with a window snuggled into the vaulted ceiling. Plus, a light above the closet (not pictured) serves as mood lighting or a nightlight. Another brand new bathroom. 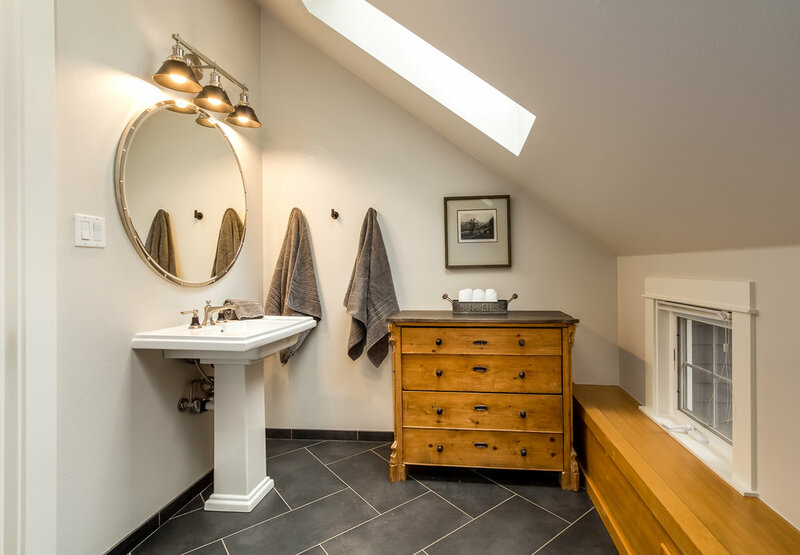 This upstairs full bathroom has been fully remodeled with exquisite touches. A roomy bedroom upstairs with a vaulted ceilings, a sweet chandelier and light over the closet offers many options for laying out your space! Sweet 3/4 bathroom upstairs with skylight, built-in bench and shower. Huge bedroom upstairs can easily be used a bedroom for multiple kids! Or, use it as a media room, play room or an oversized, roomy bedroom. Powder room off the laundry room and family room downstairs. 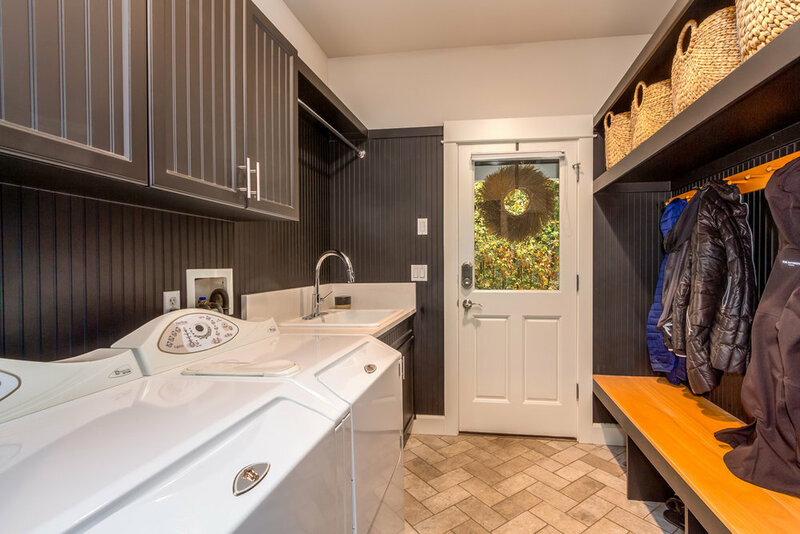 You will look forward to laundry day with a laundry room like this! With a door leading to the driveway and another door to the garage, this can easily serve as the mudroom you've always needed to keep your entrance clean! Herringbone tile floors add glam while the built-in storage unit/bench hides away all of the family's knickknacks. Neptune Washer/Dryer plus large utility sink with a hanging rod above! 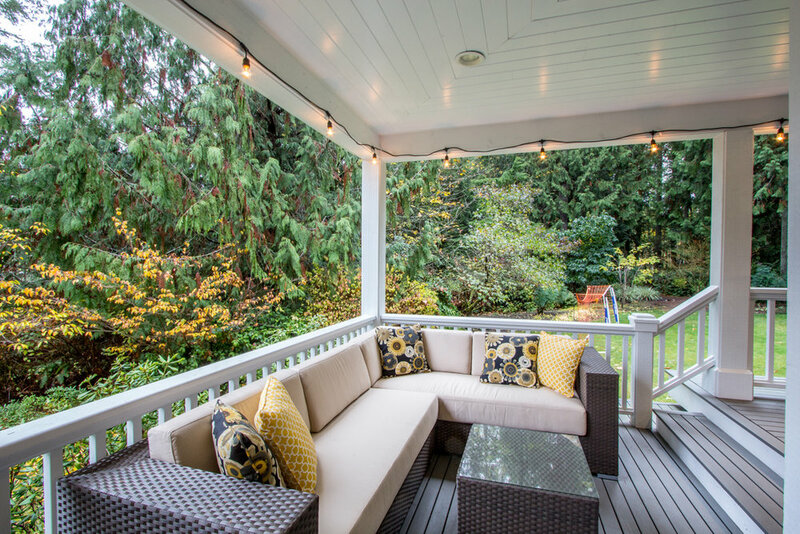 The wrap around porches speak for themselves but let me just point out how large the outdoor furniture is and yet there is still plenty of space to walk around! 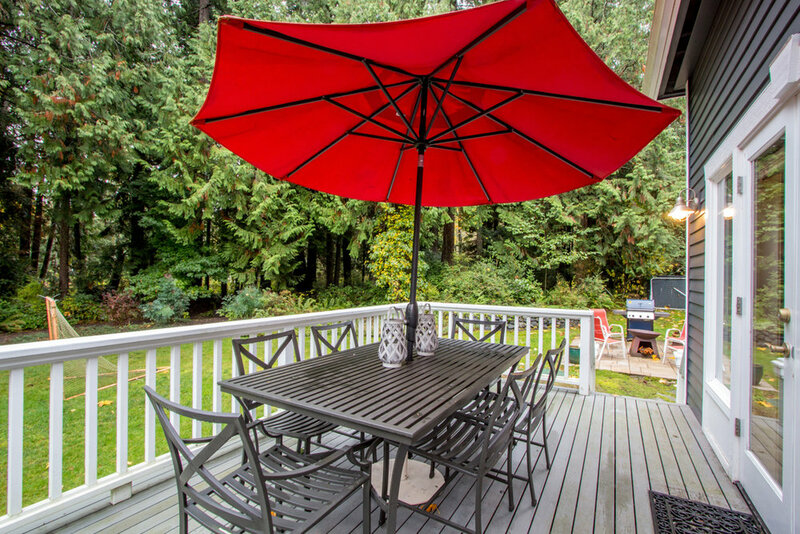 Outdoor entertaining was never more inticing! 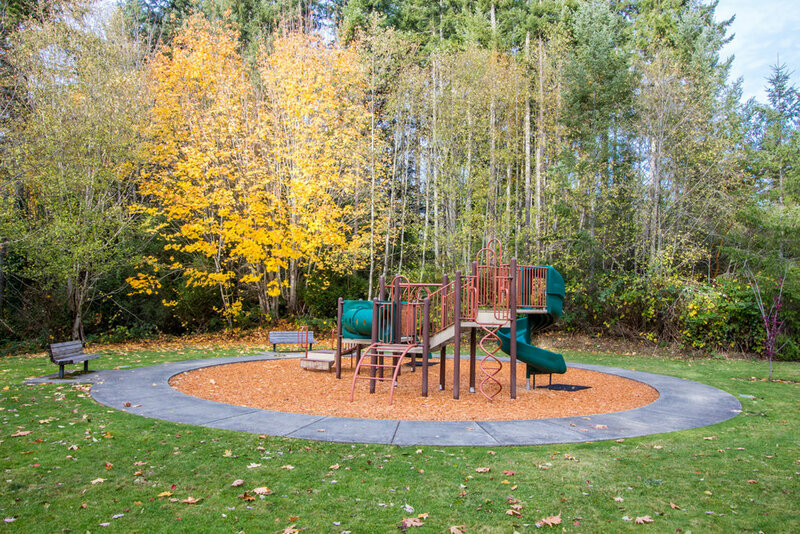 With a firepit, large grassy area and even a small tot-lot in the nearby cul-de-sac, you will find yourself spending more and more time at home and inviting everyone over to play!